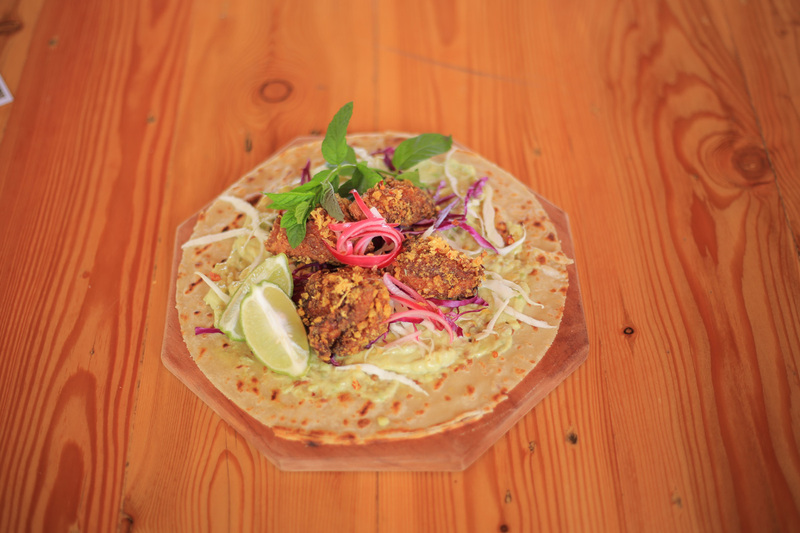 Japanese fried chicken crepe taco with guacamole base with shredded cabbage. Cornmeal Waffle with spicy chili. Cornmeal waffle with spicy chilli beef topped with sour cream and cheddar cheese.